Amiga Engineering™ Pty Ltd have a new Shaft Mounted Gearbox that can be offered in place of your current/existing unit. If you’re looking for a replacement unit, or for a new hollow shaft/shaft mounted gearbox for your new application, then this is what you need! 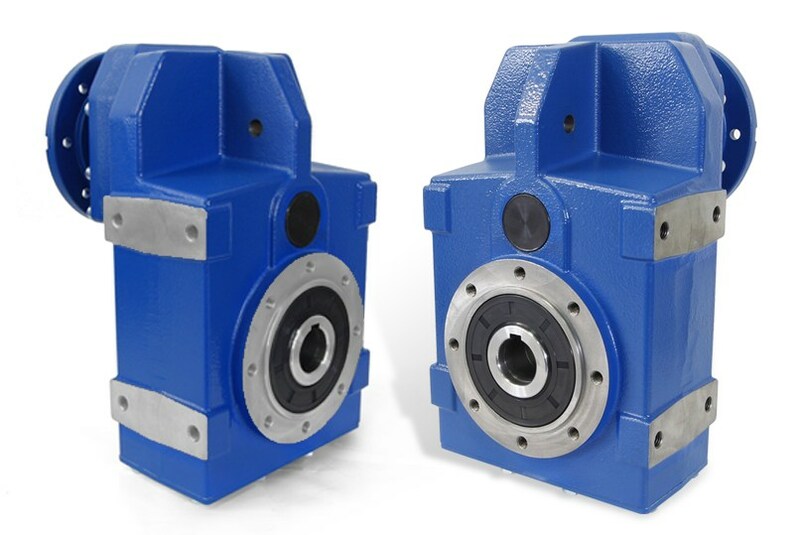 The RFV Shaft Mounted Gearbox is part of the superb Varmec series of gear heads with high quality products that are paired with production flexibility and elasticity. The new RFV series is available in 2 or 3 reduction stages to allow for a wide range of reduction ratios for maximum efficiency in all working conditions and applications. The Cast Iron version of the new RFV Shaft Mounted Gearbox is built for longevity, much like the Genat and Wood HS2900 or HS6400 series that we still supply spare parts for. This is the new, unbeatable and superlative option built for your purpose! Longevity and hard work is what Amiga Engineering Pty Ltd aim to provide for all of our clients. If you’re looking for a long-lasting and vigorous unit, then this new RFV series is what you want! If Cast Iron is not your cup-of-tea, or it doesn’t quite suit your requirements, then it is also available in Aluminium. Amiga Engineering™ Pty Ltd products manufactured in Australia and products that we supply to you; ensure maximum efficiency in all working conditions.